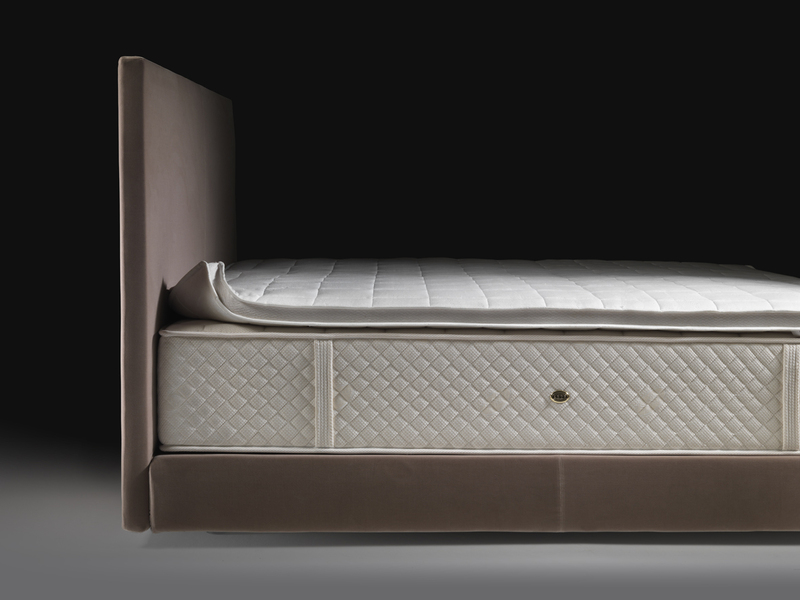 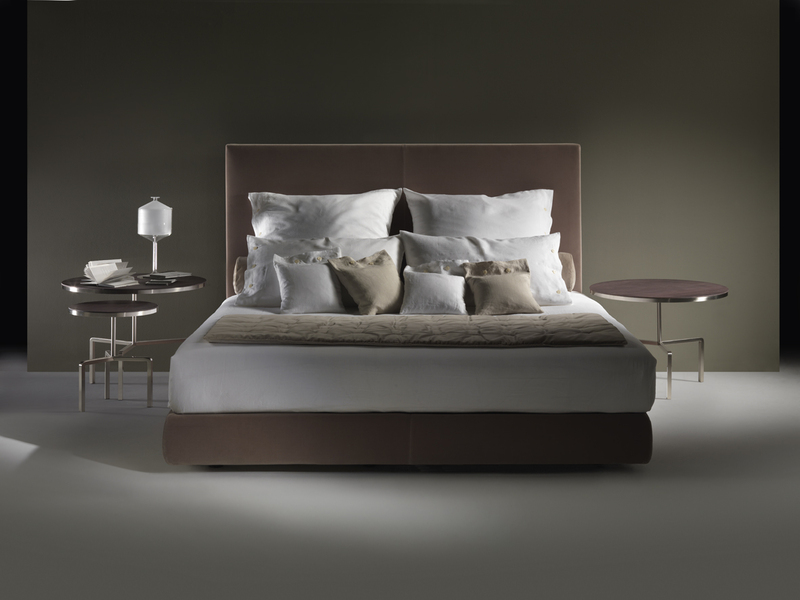 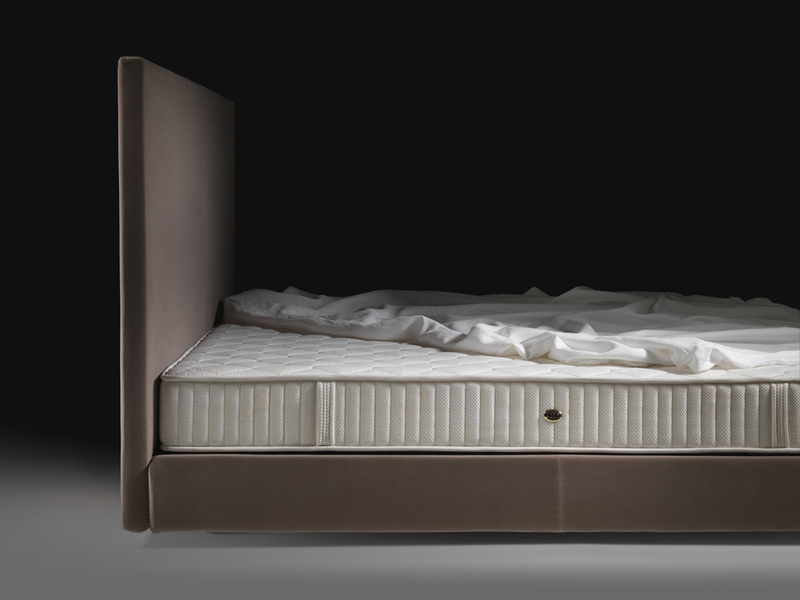 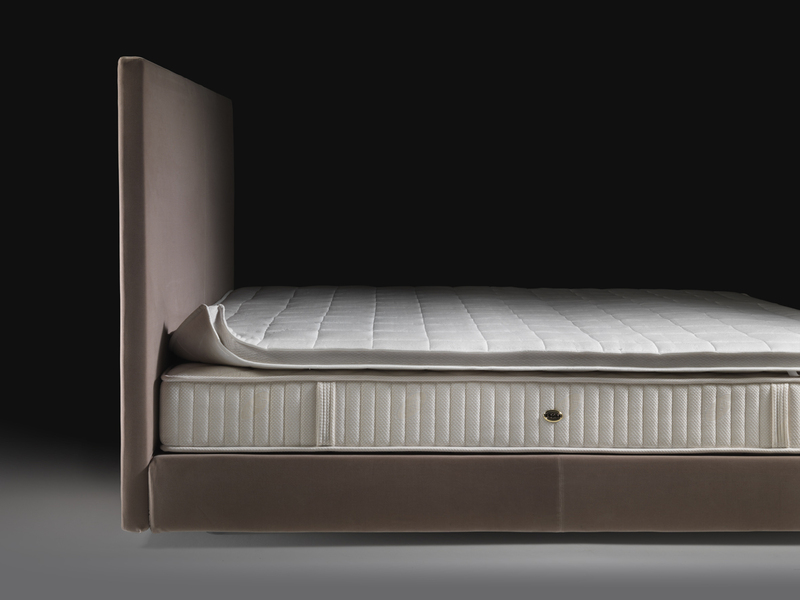 The OLTRE bed is a reassuring, extremely versatile product. 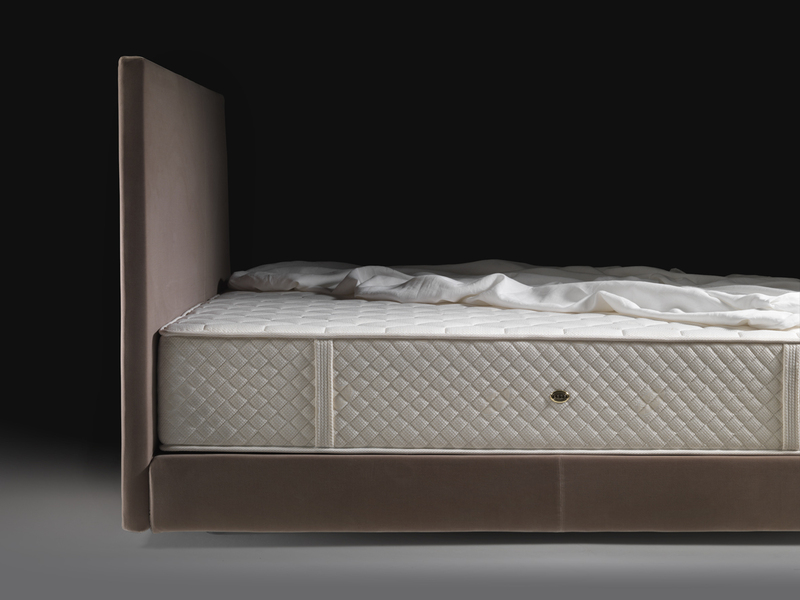 It features a wooden headboard with compact padding and a rigid base with a platform in wood or wood staves, concealing a useful storage compartment below. The headboard and perimeter can be covered in removable fabric or leather. 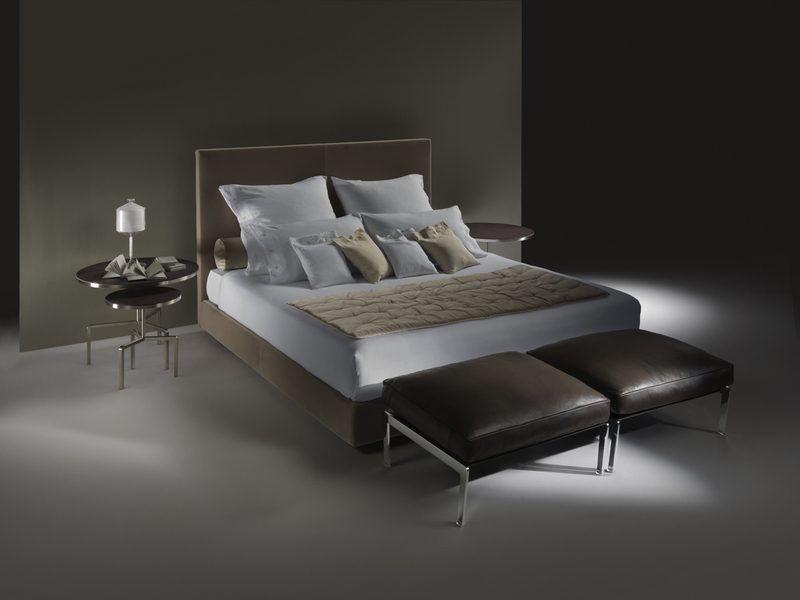 Transparent methacrylate feet raise the unit off the floor, for a lighter appearance. 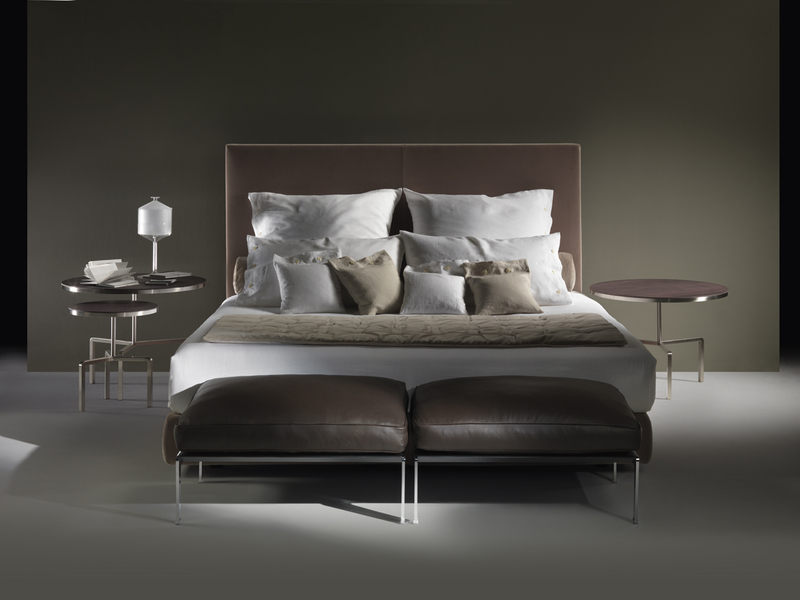 A bolster behind the pillows gives the bed the look of a discreet, timeless sofa.